By	Marios Alexandrou on September 25, 2018. 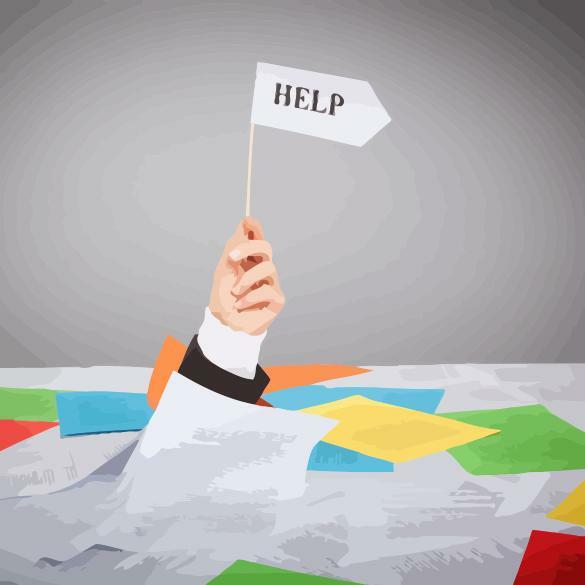 All too often, people who get promoted to supervisory or management positions have no idea how to do their new jobs, and in many cases there is no one to turn to for help. New supervisors are often chosen on the basis of their technical skills rather than their interpersonal or human skills. They may be proficient in accounting, in computer programming, or in operating complicated machinery. But the one thing they don't have is expertise in dealing with people. Make no mistake: managing people is a brand-new — and often difficult — experience for first-time supervisors. Although there is no quick and easy way to gain the experience required to become a seasoned supervisor, the following suggestions can help you do a better job of working with people. 1. Realize That People Work for Different Reasons. Many new supervisors believe that the paycheck is the key reason why employees show up for work each day. Granted, compensation is a very important reason for working, but it may not be most important. Study after study has demonstrated that many workers feel full appreciation for work done, being included on decisions, and doing jobs or tasks that make a difference may be just as important a reward — or even more important — than money. 2. Develop Two-Way Communication With Your Employees. A large part of any supervisors job is communication — listening to employees, answering questions, providing directions, and giving encouragement and praising workers. When communicating with employees, make eye contact and try to “read” what employees are really thinking. Above all, allow workers to verbalize their concerns and complaints. Once problems are clearly defined, you can take corrective action, if needed. 3. Learn How to Deal With Problems. Dealing with a problem is delicate business. On the one hand, you don't want to alienate your employees by being too harsh; on the other, you must confront each problem head on. To deal with a problem effectively, management experts suggest the following three steps. First, make a special effort to identify clearly the real problem. Second, pinpoint the individual factors that may be causing the problem. Finally, take definite steps to correct the problem. 4. Don't Be Afraid to Praise Workers. Ironically, new supervisors often feel uneasy about giving praise to hardworking employees. And yet the ability to praise workers for a job well done is an essential part of any supervisors job. Start with specific achievements. For example, “Congratulations — you exceeded your production quota by 15 percent, more than anyone else in the department,” means more than “You did a good job.” Although words of praise, thank-you notes, and expressions of confidence can let workers know that you appreciate their work, use these only when they are deserved. Used too often, they lose their meaning.